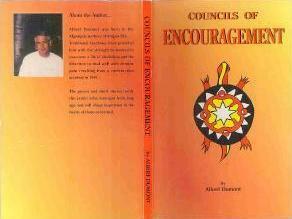 This unique book is trilingual, written in Algonquin, English, and French. 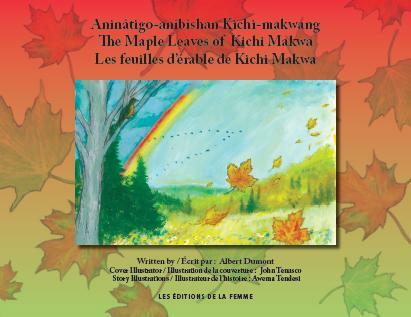 Maple Leaves is a special gift for any child, and can be used to help teach the Algonquin language. The lovely illustrations help convey an important anti-bullying message to today’s children. No home or classroom should be without it! 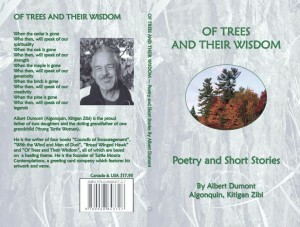 From the back cover: “The storyteller of today must create powerful tales and legends now, which will help the people of the distant future keep their diminishing human emotions strong, while living their lives in the smoky-grey fog of advanced technology.” Maple Leaves is Albert’s humble contribution to this cause. 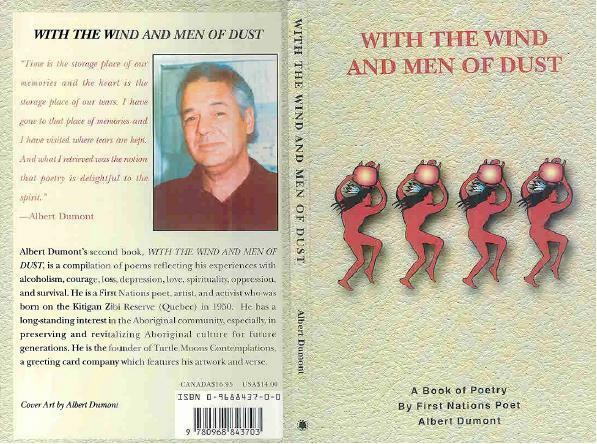 Available at the regular price at Singing Pebble Books, 202A Main St. and at Books on Beechwood, 35 Beechwood Ave.
Or send an email to info.albert.dumont@gmail.com. Send an email to info.albert.dumont@gmail.com. 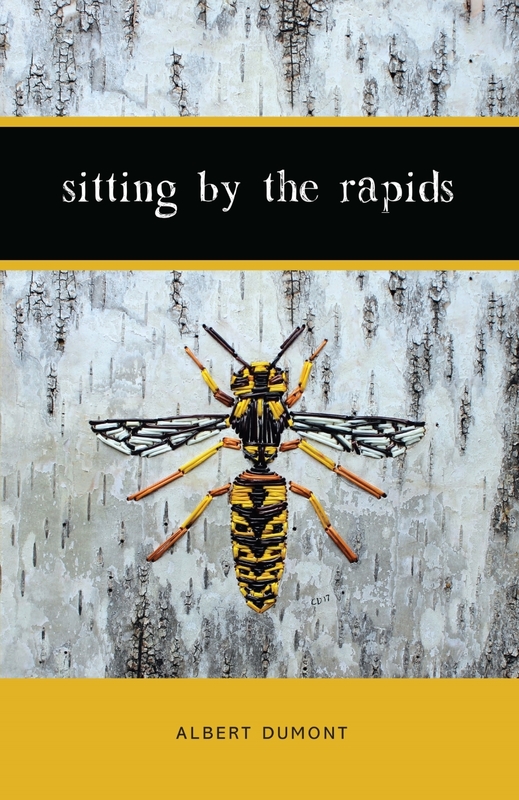 Published in 2011. 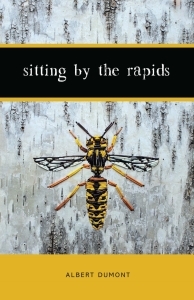 Second Edition printed in 2017. Regular price is $30. Trees are the true elders. Human beings can never equal their wisdom. Trees are blessings. 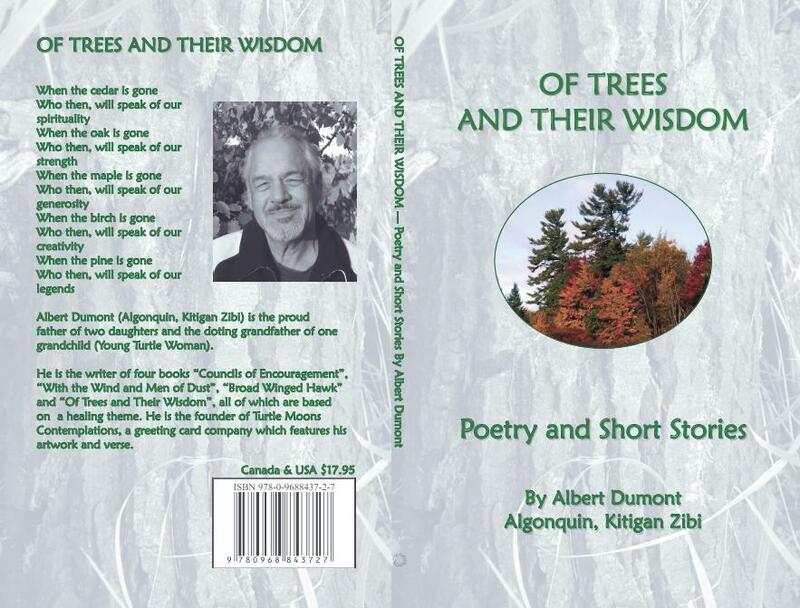 Come to the forest with Albert, for blessings and to reap of wisdom in the purest state. 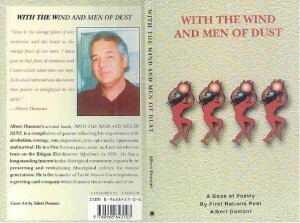 Below is one poem from the book. To order through PayPal, click “Add to Cart” below. You can send an email to info.albert.dumont@gmail.com. 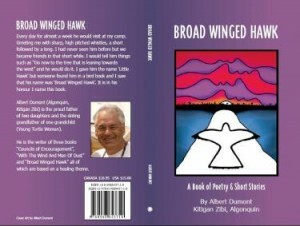 Also available at regular price in Ottawa at Singing Pebble Books, 202A Main St. and at Books on Beechwood, 35 Beechwood Ave.
Broad Winged Hawk is a collection of Albert’s poetry on the wide range of joys and challenges we navigate on our Life’s Journey. Love, the seasons, trauma, healing, our relationship with Nature, are all found within these pages. Below is a poem to honour a traditional teacher. To order through PayPal, click “Add to Cart” below. You can also send an email to info.albert.dumont@gmail.com. Copyright Albert Dumont. All rights reserved. Nothing may be copied without the written permission of the author.